Project Runway Season 8 is the eighth season of the television show Project Runway. The season began airing on July 29, 2010, on the Lifetime. 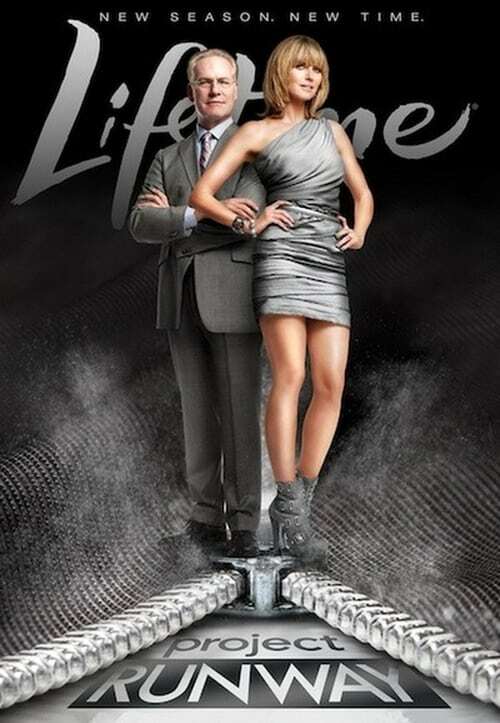 After Lifetime cancelled the accompanying series Models of the Runway, Project Runway episodes were extended to 90 minutes in Season 8. This was the first season that episodes were longer than an hour with commercials. The season included 17 designers at the beginning of the competition. Returning as judges were supermodel Heidi Klum; fashion designer Michael Kors; and Marie Claire fashion director, Nina Garcia. Tim Gunn returned as the workroom mentor to the aspiring designers. Designer Gretchen Jones was the season's winner. The decision was met with controversy; both Gunn and Klum have spoken out against Jones' victory, condemning Kors and Garcia's decision to award her the win, believing instead that Mondo Guerra was the worthier contender. Due to Jones' negative portrayal throughout the series many home viewers also disagreed with the decision to award her the win, believing her design aesthetics and her on-screen demeanour left her unworthy of the title of Project Runway Winner. April Johnson, Michael Costello and Mondo Guerra later appeared in Project Runway: All Stars in 2012, with April receiving 10th Place, Michael 3rd, and Mondo winning the competition. Peach Carr, Carlos Casanova and Ivy Higa in the same year, competed in the second season of the All Stars edition placing 13th, 7th and 5th respectively.